So all in all, I kind of miss the reggae, ska and African influenced- groves that were seen on their debut album but what Modern Vampires misses in musical influence it fills with strikingly passionate lyrics (“Hannah Hunt”, I feel you. ), mature vibes and technically well produced tracks. After Contra, they have regained their footing so for that, Modern Vampires of the City, you deserve a solid 8.5. Vampire Weekend, a ragingly popular experimental indie pop outfit, are out with their third LP, Modern Vampires of the City. The wave of Pitchfork and other cool blog hype that these blogosphere darlings rode shot them to stardom with the release of their self-titled debut album in 2008. Consequently they managed to pull in just as many haters as lovers. But none the less in 2008, Vampire Weekend, made it onto many critically acclaimed year-end lists, despite the 'hip(ster)' factor, because the album successfully blended South African pop seamlessly with New England classically-trained peppiness to introduce a wholly unique take on whatever the hell "indie rock" is…neat. In 2010, their follow up Contra, equally as critically acclaimed, garnered a more divided fan response. 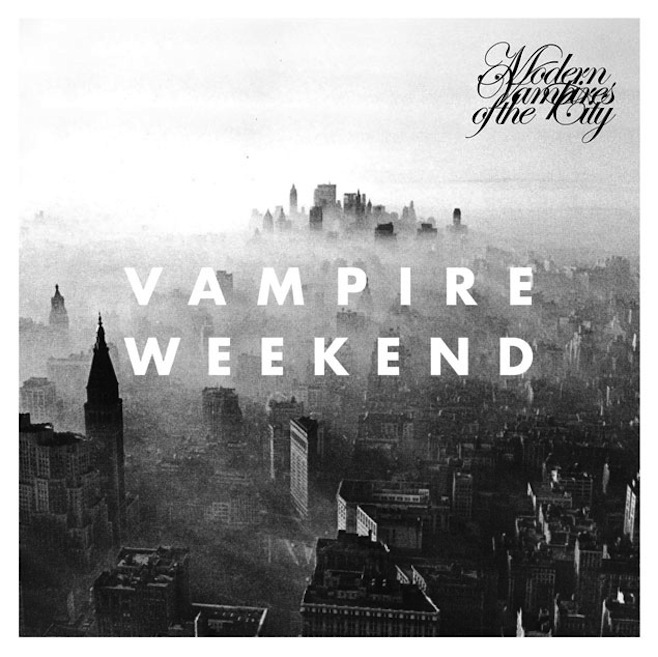 Some believed that the album was the same old Vampire Weekend but more polished and with a complex twist while others, myself included, feel the addition of the 8-bit synth-pop coupled with all 'dem drum machine beats and Koenig's boyish vocals produced frankly, many annoying tracks. Contra, had some great tracks- but a few were buried under the production (“White Skies” could have been something real special if the combination of the hook's vocals, drums and piano line didn't make my ears bleed a little bit). With two relatively well received albums, VW playing it safe would have been a perfectly acceptable option. But in spite of this, Modern Vampires of the City took a far fresher, coherent and mature avenue. Koenig once again does what Koenig does best and uses his passionate lyrical writing style to pull this album in an entirely new direction. The tracks tackle grandiose topics like life, religion and love through the use of memorable lyrics, refined instrumentation and great melodies. The album's opener “Obvious Bicycle”, is a lazy track with minimalist percussion, depicting a man that has lost hope in life. It leads seamlessly into “Unbelievers” which with a subdued sound and a simple kick drum bumps through into “Step”, a track that recalls their debut album. “Diane Young”, perhaps a play on 'dying young' crashes in as an instantly accessible and catchy track with Buddy Holiday-esque vocals that can almost be labeled as the distorted and crunchy “A-Punk” of Modern Vampires. It's vocal effects, saxophone foundation and nimble guitar solo certainly makes it a stand out track. Similarly, tracks like “Finger Back” and “Worship You” employ mirroring tactics in order to achieve an upbeat sound while simultaneously dealing with lyrically heavy subjects. Tracks like “Hudson”, the distinctly religious “Ya Hey” and the closing track “Young Lion”are adorned with strings and chorus vocals. They keep the the album on the chiller side and not (omg thank you) overproduced.